Last week, Goodbye Christopher Robin--an A. A. Milne biopic about the writing of the Pooh books--opened in the United States. I love the Pooh books in particular and Milne's work in general, so I'm very interested to see the film when it's eventually released on DVD, since I'm not a big fan of going to movie theaters. Until then, I've been reading articles about and reviews of the movie online, and to my dismay one of the latter used a quote that's commonly falsely attributed to A. A. Milne--as a matter of fact, it's a quote I previously debunked in a whole post about how some of the most popular "Milne" quotes online aren't from Milne at all. Since there are many quotes actually from the Pooh books that are worth sharing (far more worthy, in fact, than the falsely attributed ones) I thought I'd share some here. 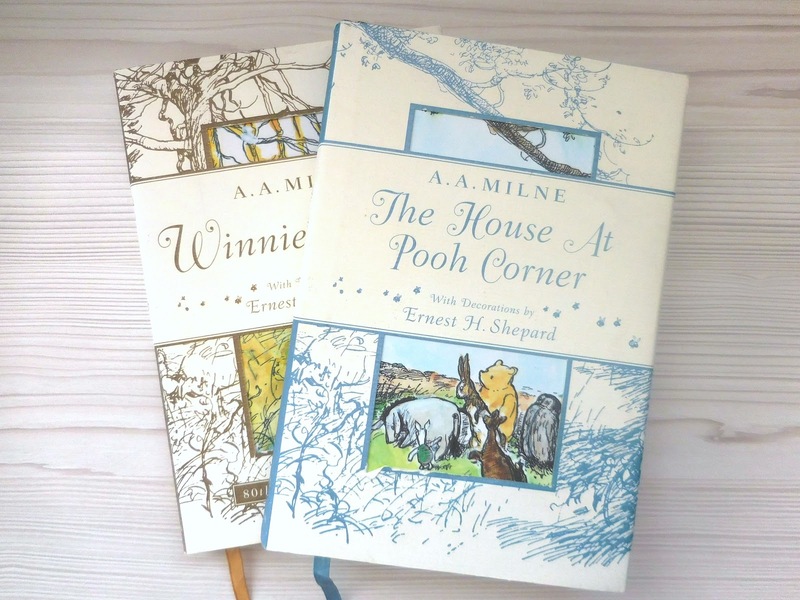 As most of the widely-circulated false Milne quotes are sentimental or inspirational in nature, I chose quotes of a similar theme for this post--although there are several hilariously witty passages in the Pooh books that are just as worth sharing as well. But, of course, it isn't really Good-bye, because the Forest will always be there . . . and anybody who is Friendly with Bears can find it. ". . . Poetry and Hums aren't things which you get, they're things which get you. And all you can do is to go where they can find you."